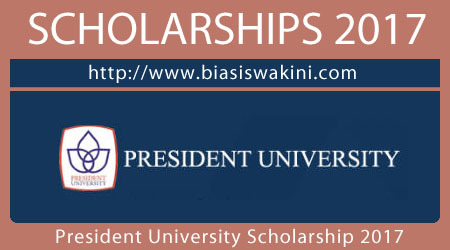 President University Offer President University Scholarship 2017 Academic Scholarship 2017 is a program aimed at improving the academic quality of students who follow the President University scholarship program. Academic scholarship is a program specifically designed to enable students of President University graduate on time (3 Years and 4 Months). President University helps students who have outstanding academic qualifications to study in our esteemed University through financial waiver up to 100% of the total tuition fees. The applicant has completed or is going to complete High School, A level, IB Diploma or equivalent, as shown by a copy of legalized high school, A level, IB diploma or equivalent. - School of Humanities: English, Business, and Psychology Test. - School of Business : English, Business, and Psychology Tests. - School of Computer Science: English, Engineering Mathematics, and Psychology Tests. - School of Engineering: English, Exact Science, and Physics Tests. 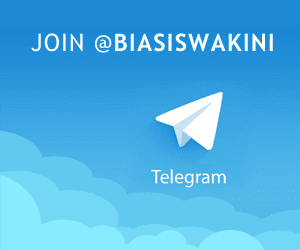 0 Komentar untuk "President University Scholarship 2017"